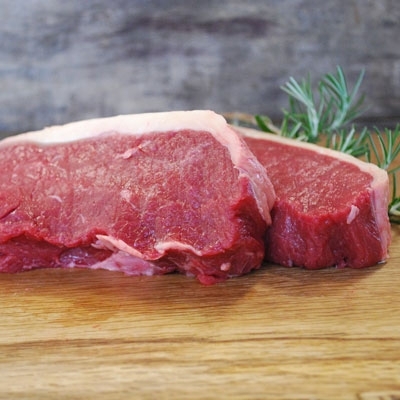 Our outdoor reared beef is hung and matures naturally for up to 21 days before being passed onto our master butchers who take great pride in carefully preparing the range of cuts that we provide. Traditional sirloin steak is perfect for every taste. Very tender and slightly marbled to provide a succulent taste. The beef you buy at the Beacons Farm Shop is all taken from our livestock and livestock bred locally in a free-range environment. The cattle have a health grass-fed diet which gives the meat an excellent flavour. Our butchers are highly skilled and take care preparing the meat at our processing unit (it has five stars under the scores on the doors scheme). 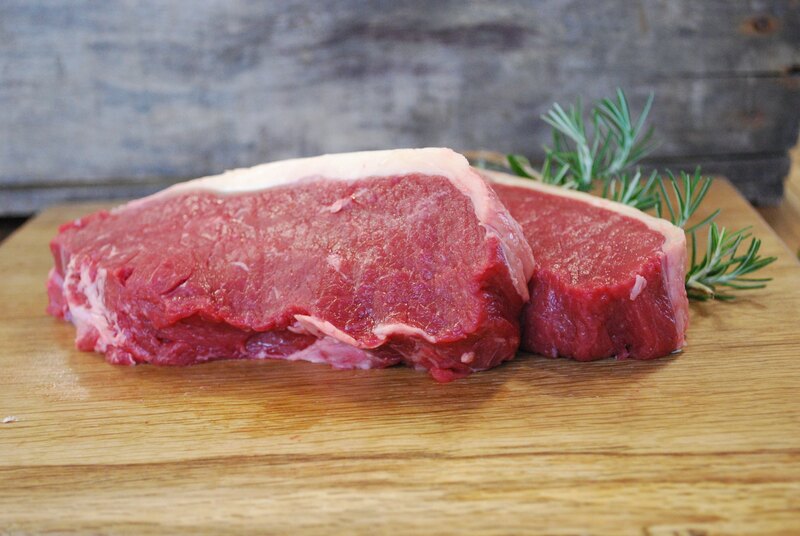 One of our most popular products is the 21-day matured Welsh fillet steak which is matured on the bone for added flavour. We sell many different cuts of beef suitable for barbecues, casseroles and more plus homemade burgers.